From chocolate to cheesecake to traditional Gulab Jamun, we love to finish our delicious A’la Carte menu off the right way…with dessert. This summer at Itihaas, we have pulled out all the stops to satisfy your sweet tooth with our exciting new menu. We have chosen the top puddings you have to try this summer – not forgetting our signature cocktails to compliment. On a bright summer afternoon, indulge in our exclusive Mango Colada Slice. 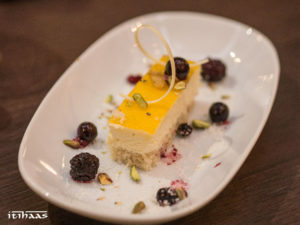 A mouth-watering base of coconut and pistachio, complimented by creamy pineapple mouse finished with coconut flakes and garnished with an unbelievably tasty mixed berry compote mango and pineapple glaze. You may not be on a beach with a Pina Colada in hand, but this dessert is filled with plenty exotic flavours. Sweet or spiced, this summer? We have had a super sweet option, now we have the dessert to keep all of the spice lovers happy. You won’t be able to stop after just one slice of our unreal Gajar Halwa Cheesecake. 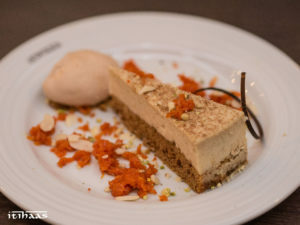 A soft carrot cake base with walnuts, topped with spiced cheesecake and home made Gajrela. 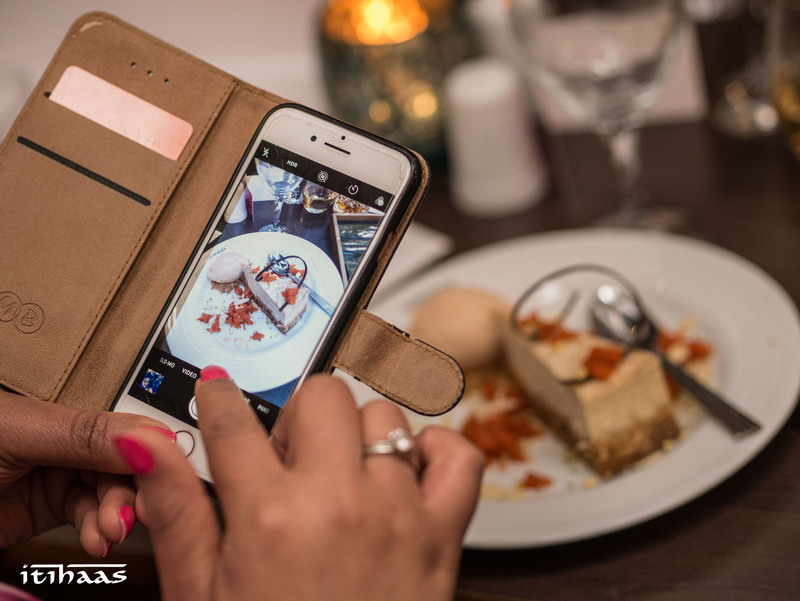 If you are a lover of dessert and can’t resist a slice of cheesecake, then Itihaas Restaurant is where you need to be this summer, indulge in our sweet treats and book your table today!